West side of the mouth of the Connecticut River. You can view the lighthouse from Route 154 Maine St off Route 95 near Old Saybrook center. During the hurricane of 1938, New England’s worst hurricane, most everything including a 1,500-gallon tank of kerosene was swept away except for the tower, which actually withstood the force. Keeper Gross and Assistant Keeper Bennett were able to survive in the tower and kept the light burning. Old Saybrook is one Connecticut’s more picturesque coastal towns with plenty of community events and historical New England 18th and 19th century architecture. It is one of the yachting capitals of the Connecticut shoreline, and boasts as being one of Connecticut’s earliest settlements. There are more 18th century Colonial and 19th century Federal buildings than you will find in most New England towns. Fort Saybrook Monument Park houses Fort Saybrook, the first military fortification in the state. To learn about art in American Impressionism, visit the Florence Griswold Museum of this talented artist and many others. Take a nice shoreline drive to enjoy the views, or walk to Saybrook Point and go fishing off the pier, or, play miniature golf with a view of the shoreline. 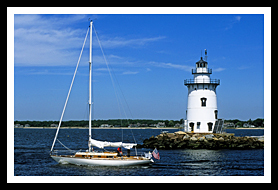 It is also one of the yachting capitals of the Connecticut shoreline. Rocky Neck State Park, in nearby Niantic, has 710 acres that include a beach, trail systems, and a large stone pavilion with many geological features to explore. 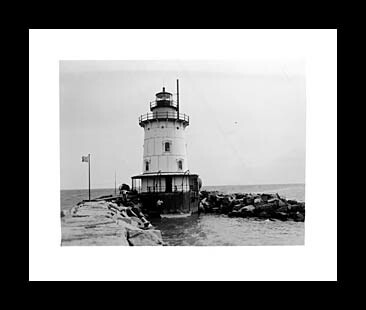 The lighthouse can be seen from a distance from the dock at Saybrook Point. Boat tours will give you much closer views. From US Route I-95 North, take Exit 67 to Elm Street and turn right. Left on Main St to Saybrook Point. 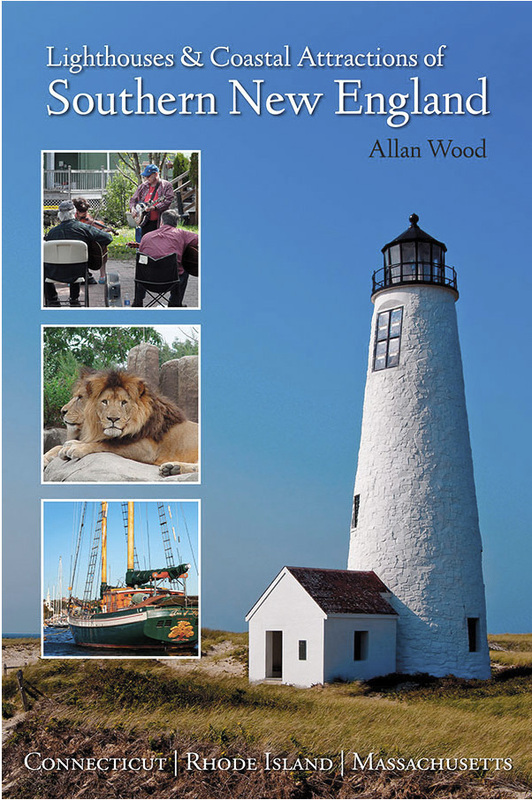 My 300-page book, Lighthouses and Coastal Attractions of Southern New England: Connecticut, Rhode Island, and Massachusetts, provides special human interest stories from each of the 92 lighthouses, along with plenty of indoor and outdoor coastal attractions and tours for you to explore.